This has been the most difficult to predict in essence you have FIVE teams competing for two places of value. Any of the ten teams in this league can and will beat any other team in the league. This is Scotland’s first league of Death. Rangers not surprising first but almost in spite of boardroom officialdom and fandom the Govan Giants have just got on with it. This is the third leg of a five year plan and the plan to get promotion is the only plan they have. The addition of quality proven strikers and some interesting defensive squad players mean that the quality may not be what the fans remember but it’s a squad more than capable in the league company. Rangers should at least be more comfortable playing teams with a more traditional league style. The days of every game feeling like a cup tie are gone. The opponents faced this year will have players more used to playing against the Old Firm. No more visitors enjoying the party and going to very welcoming clubs for games. Heart of Midlothian A club freed from admistration and the points deductions start the season with no points and how the Gorgie Road loves it. New coaching staff Under Robbie Neilson. The rotating door of players at Tyncastle has left the club relying on youth with only the tiniest whiff of experience. The youth though has gained experience last year. Can the freedom from admistration free up the players? Maybe but I think some of the starlets will freeze in some of the less luxurious souroundings. With a tiny squad there could be problems mid winter. A solid second and go up via fearlessly in play off. Falkirk Peter Houston’s Bairns have a fearless brand of youth. I think that this very youth will be the reason that Falkirk will finish third. Having no fear will win certain games and pick up points at others but having all your experience sitting on dug out with the Manager and coaches will drop and lose points at others. A year of great experience to aid season 15-16 but not this year. Hibernian Disjointed shambles is how to describe Hibs last term. Free falling under Pat Fenlon to terminal velocity under Terry Butcher. A new manager and Chief Exec is not always the best way to turn round a club (ask Manchester United last season). Alan Stubbs may well arrive from Everton Coaching role highly recomended but is the likeable Ex Celtic defender able to be his own man alone at the top. Not so sure given the anti board feeling and loss of players at Easter Road I have picked forth place, it could be a while before we see Sunshine on Leith. Raith Rovers Kirkcaldy will be a interesting venue for many clubs. 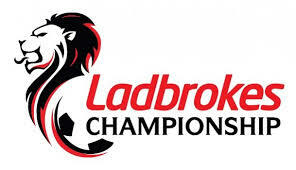 With relatively short distances to the league’s big three then there will not be room to dance on the streets of Raith let alone on the terraces. Christian Nade will relish Tyncastle and Easter Road as well as Ibrox. Add Ross Perry and Grant Murray has a nice wee blend of Youth and experience for Grant Murray with a point to prove. An experience gathering fifth for all at the club. Queen of the South Jim McIntyre will have this squad fired up and raring to go. Expect more points won at home than away. The trip down to Dumfries is the longest away day for all the other nine clubs and will cast up some unusual results. With Billy Dodds as a coach expect top class strikers. A sturdy sixth place for this biblical club. Livingston John McGlynn man of many clubs and most of them are now in this league. He will definitely be a man on a mission to prove people wrong. 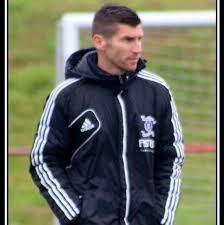 With player coach Mark Burchill expect surprises from this mainly young squad but a strong seventh. Dumbarton Former Hibs and Rangers Player Manager Ian Murray will have the Sons of the rock up for the challange with Lee Mair and David Van Zanten in the part time squad I almost had this team further up the league. In the end it was the part time football that has me placing them eighth. Cowdenbeath Jimmy Nichol will know no fear he has seen it done it and wore the t-shirt both as player and manager. A uninspiring looking squad on paper will no doubt be a very strong team forged by Nichol. Don’t forget Cowdenbeath Chairman Donald Finlay QC will revel in the media attention this league and his club will receive. Ninth but reveling in finiancial security and increased public visability. Playoff bound without a care but good chance to stay up. 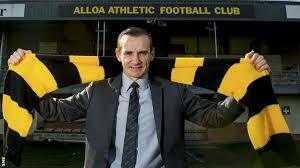 Alloa Unlucky Barry Smith will struggle to keep the wasps up with nothing but youth. Even the maligned plastic pitch at Recreation Park won’t save them automatically down. Tenth but will enjoy the away days.